Mops are really gross but they do get floors clean. If you haven’t ditched the classic style for a Swiffer yet, then you’re dedicated but you probably see some room for improvement with how we use the old tools. Are you tried of bending over to wring yours out? Worried that you’re just slushing gross water around? I know I am. 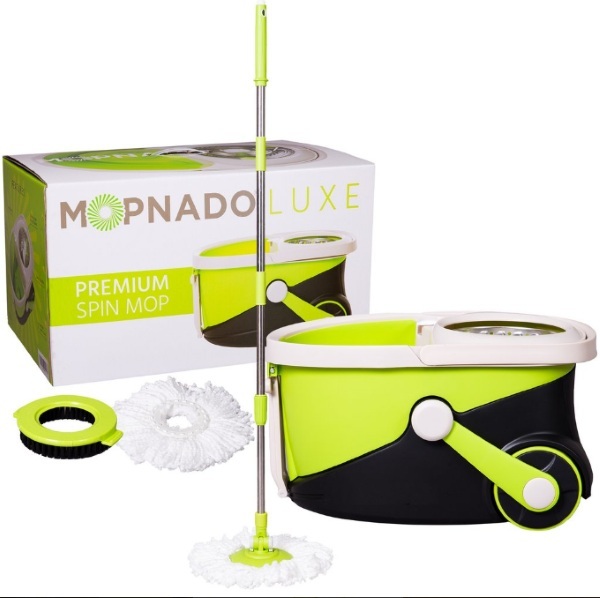 If so, then check out the Mopnado, the new spin on wet mopping. This is a special mop and bucket system that uses microfiber mop heads to help cut down on bacteria and the transfer of filth. The special washing and wringing bucket spins the old water out, puts it in a reservoir so you have fresh soap water to clean with. The whole thing is automated so you don’t have to pump anything or bend over to do it by hand. It even has a longer handle to make the whole process more comfortable. If you like the classic mop style but wish it were just a bit better at being a cleaning tool, this one is $59.99.